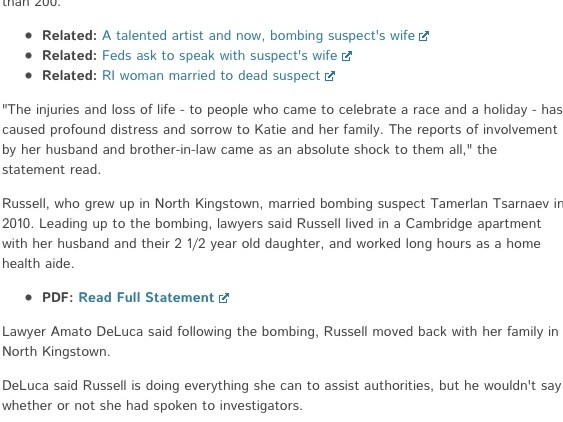 DePetro.com: Should the bombing widow get immunity? Depends on who you talk to. 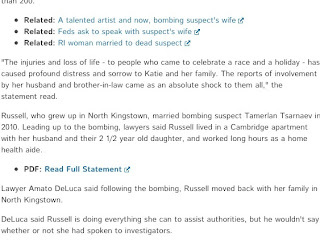 Is Katherine Tsarnaev of North Kingstown assisting the FBI or holding out for immunity? Conflicting reports as her attorney says she is assisting, but has not spoken?